Camper Makenna Schwab came up to camp to present her $47,719.35 check to Camp Korey. 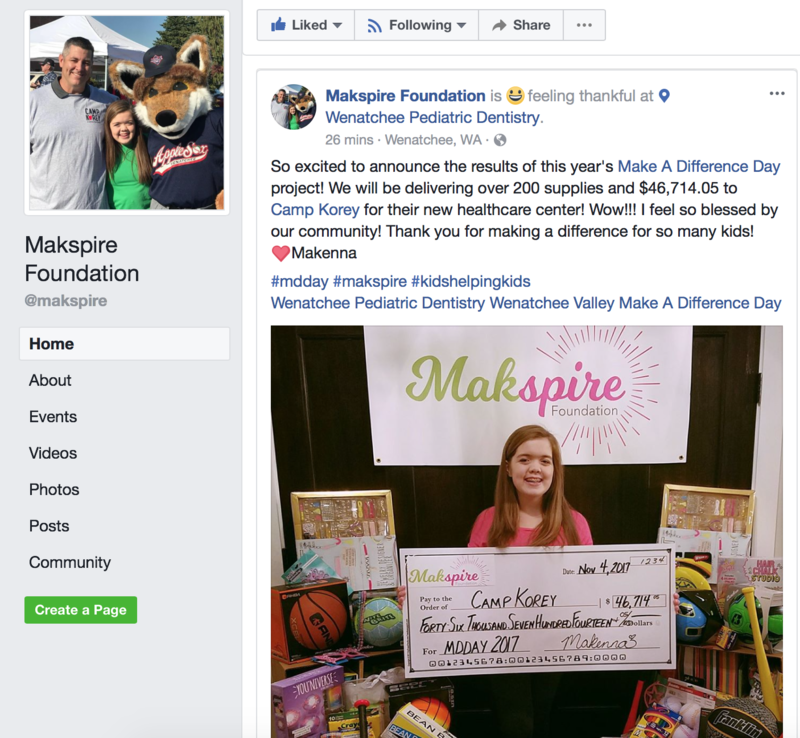 Makenna held her annual fundraiser through her own foundation called MakSpire on October 28 in her hometown of Wenatchee. She chose Camp Korey as the sole beneficiary of her event this year! She toured Lee Lodge and was absolutely thrilled that he contribution would help remodel our healthcare center to benefit other kids. Visit her Makspire Facebook page for more photos! 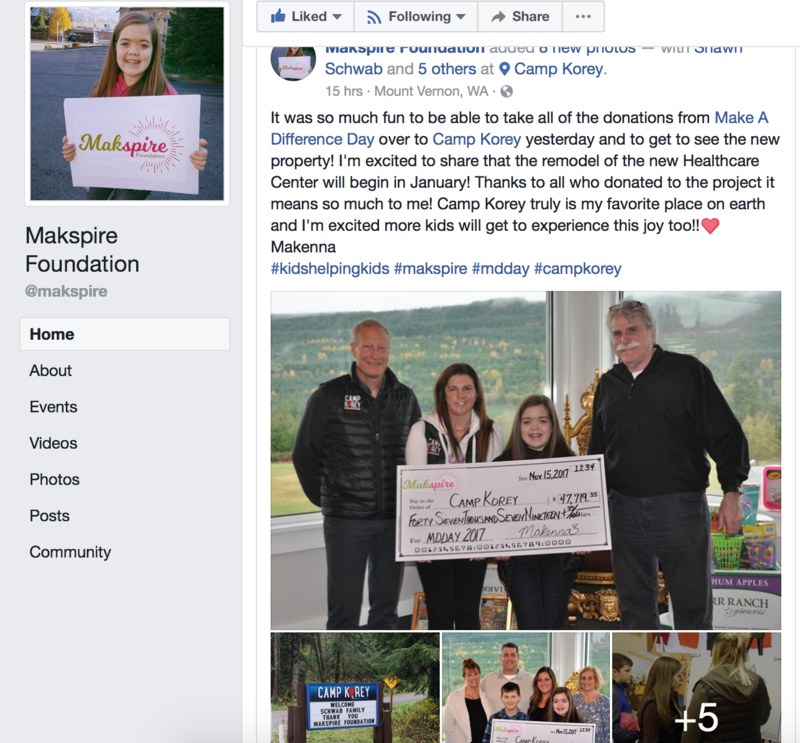 Camper Makenna has been busy with her foundation, Makspire. We are so grateful for all her hard work. She has collected donations from so many generous people and companies and is donating it to Camp Korey!! She shared with her fans and us that she is donating $46,714.05 to help build our new healthcare center!! And 200 items of supplies she collected for camp as well! Makenna is truly an inspirational camper and we are so lucky to have her support! Makenna is heading up to Camp Korey on November 15, to give us this amazing, generous gift! Stay tuned for more! And visit Makenna’s Makspire Foundation page to see all the hard work she has put into her fundraising! This entry was posted in Camp News, Camper Spotlight, Partner Spotlight. Bookmark the permalink. ← Support Team Korey at the NYC Marathon, November 5!